Even though our bodies have exceptional adjusting systems that keep your health on track, sometimes too many processed food, smoking, alcohol, high stress and preservatives may unbalance its internal mechanism and we start accumulating toxins and acidity within our cells. 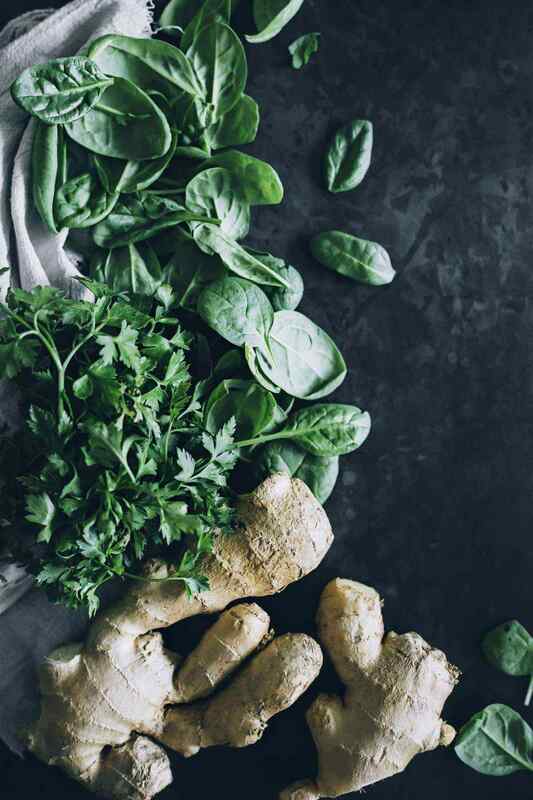 If you are feeling tired and have digestive issues, maybe it’s about time for a reboot, a way to infuse your cells with nourishing, concentrated nutrients. 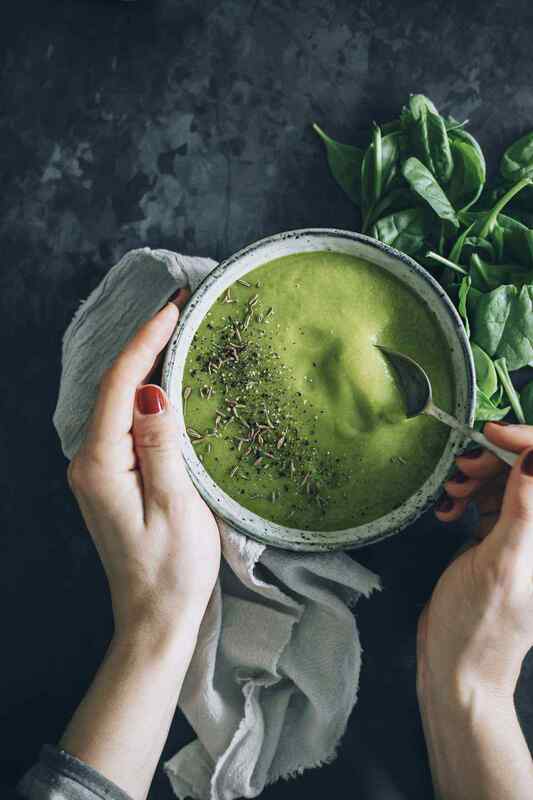 This alkalizing green soup is a great way to re-establish the pH balance of your body and nurture your system with exceptional nutrients to boost your health and make you feel energized. This is a very simple and very effective green soup, for which you don’t need any special cooking skills. It’s made with nutrient-rich ingredients that you just need to chop, boil, add to the blender and that’s all! I used highly alkalizing vegetables: broccoli, parsnip, parsley root, celery stalk, alongside fresh green leaves and ginger, to create a pH balancing green detox soup. When it comes to alkaline foods, you will never fail if choosing a diet rich in dark green leaves. Kale, parsley, spinach – they are all loaded with minerals, vitamins, antioxidants and anti-inflammatory nutrients that balance your pH. Our body needs a balanced alkalinity to function properly because too much acidity diminishes the absorption of minerals, vitamins and other essential nutrients. 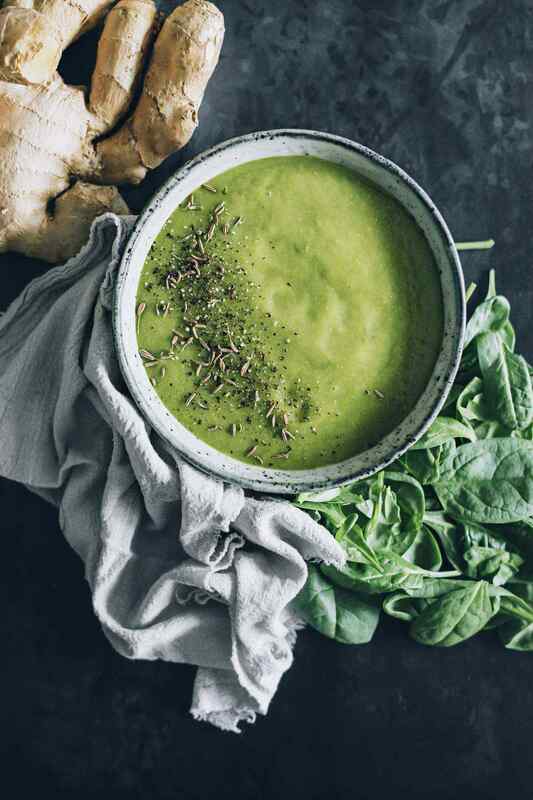 A diet rich in alkaline foods, and simple detoxifying recipes that preserve the nutritional values of food, just like this alkaline green soup, can prevent high acidity and help your body balance things naturally. Add diced vegetables and vegetable broth into a medium soup pot and bring to boil over medium heat. Turn the heat to low and simmer for 10 minutes. Transfer the liquid and vegetables into the blender, add spinach, coconut oil, cumin, black pepper and grated ginger and pulse to obtain a creamy liquid.